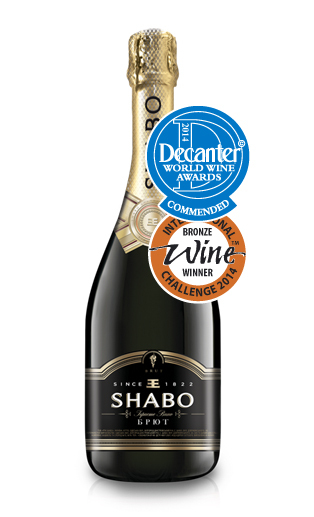 Shabo sparkling wines, created using the Charmat method, received a high rating from the strict quality connoisseurs – the international experts of the most famous wine contests in the world – the “Decanter World Wine Awards” and “International Wine Challenge” (United Kingdom, May 2014). The Bronze Medal and the mark “commended” for the sparkling wine “Shabo Brut” is a well-deserved success of Shabo winemakers. Each spring in London, two prestigious wine contests take place simultaneously – the “Decanter World Wine Awards” and the “International Wine Challenge”. Company Shabo participated in them for the third consecutive year and was among the winners. This time, the sparkling wine “Shabo Brut”, created using the Charmat method, received an International Wine Challenge bronze medal and a quality mark “Decanter World Wine Awards” commended. The victory in the contest gives the manufacturer the right to label their products with special international marks. It is noteworthy that these are the first international awards for Shabo’s sparkling wines created with the Charmat method. The peculiarity of this technology is that the aging takes place not in the bottles (classical method), but in special modern tanks – cuvee close. Thus, wines that are created by the Charmat method are also referred to cuvee wines. The company “Shabo” only recently started producing cuvee sparkling wines. The presentation of the new state of art Shabo sparkling wine complex took place in the autumn of 2013. The company is equipped with the most modern winemaking equipment and is located in close proximity to the Shabo vineyards (of which there are, incidentally, 1200 hectares). Experts consider the company to be one of the best in Europe. The quality control of all stages of the technological process is performed by the champagne makers of the “Institut Oenologique de Champagne” (France). Therefore, the victory of the Shabo cuvee sparkling wine at the wine tasting contests in London is quite logical. The fight for the awards was a serious one. At the “International Wine Challenge” contest, winemakers from various countries presented over 10 thousand samples, and for the “Decanter World Wine Awards” contest – over 14 thousand samples.